Step into your new fitness sanctuary. O2 Fitness Signature is bringing you a bigger, better, and bolder fitness experience. Complete with luxury locker rooms, a spacious stretching area, and chilled oil-infused towels, our newest club will wow you from floor to ceiling. At O2 Fitness Signature, members can expect fresh, modern fitness equipment with the latest technology such as assault bikes and rowers as well as treadmills with self-powering capabilities, flex deck shock absorbers and single touch intervals for HIIT training. Of course, it will feature multiple functional training turf areas, including “The Field,” perfect for personal training sessions and individual free weight workouts. O2 Fitness Signature clubs will also feature a space dedicated to Olympic lifting and as well as an outdoor training area when you want to take your workout outside. Group fitness fans, rejoice! Never miss a class at an O2 Signature club thanks to Fitness On Demand. Members will have access to over 200 virtual and live group fitness classes per week across the expansive Group Fitness, Mind~Body, and cycling studios. After your workout, be sure to take time to stretch in the designated recovery space complete with a padded floor for optimal comfort. Or, cool down with a chilled essential-oil infused towel available in the Mind~Body studio or on the main floor. In addition to new equipment, new turf areas, and new group fitness classes, O2 Fitness Signature will deliver a top-of-the-line atmosphere with upscale amenities. Resort-style towels, lockers featuring mobile device charging stations, and a welcoming lounge area will ensure your experience is as comfortable as possible. While you work out, we’ll keep the kids busy in Kids Club with an oversized indoor playground, climbing area, and fun youth fitness programming. 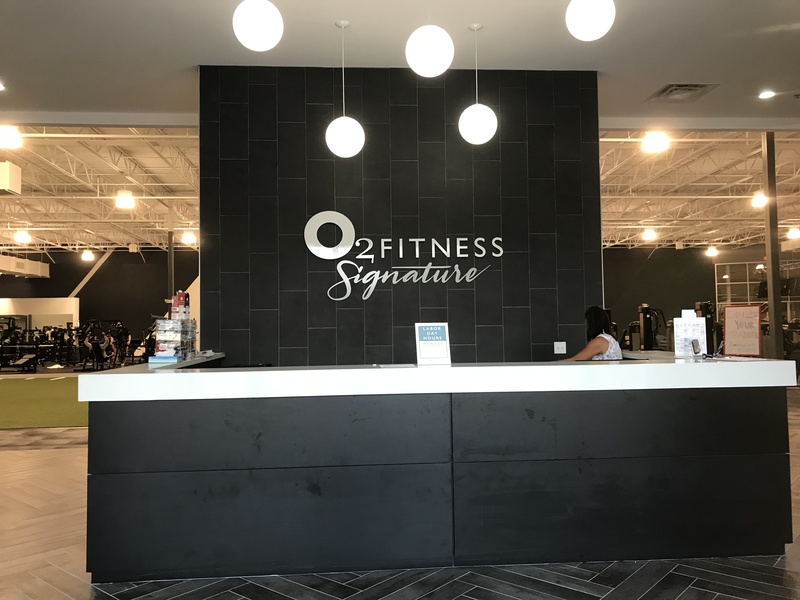 O2 Fitness Park Place is our first Signature club located at the intersection of Cary Parkway and Chapel Hill Road, across from the Park West Shopping Center. Stay tuned for more - O2 Fitness Signature is coming soon to Greensboro, NC in Friendly Center!